For the most trusted and approved electrical equipment, come to JTB Electrical Southampton. At JTB Electrical all of our staff are dedicated to ensuring that the equipment that you get are 100 % tested, are safe to use and the best in what you can get in all of Southampton. Pat testing or portable appliance testing is a very important and must have test that has to meet the health and safety policy to ensure when people are using the equipment they are in no form of hurting themselves with it. Because 25% of accidents in a work place are due to electrical appliances being unsafe and not properly tested to avoid harm to people in a working environment such as a office. Because all of the equipment we use to give to you are fully tested and we are able to properly ensure of making it safe and not a threat to you or anyone else, the health and safety has acknowledged us for keeping high standards and in Southampton we are the number one recommended Electrician company to come to. What can electrical testing offer you? We offer not only the best electrical installation for commercial and domestic properties that has been PAT tested and come back successful, but we also offer great services to all of our customers and we have 100% guarantee that after we have left you’ll be completely satisfied with our work that we will be the only company that you will ever need. We are that confident in our work. 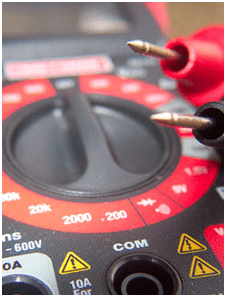 What you can expect from our electrical tester? We understand that you want to hire someone who knows what there doing, but we believe they should know what they are talking about and be able to tell you to the exact wire what we have done, and why we have done it. We always deliver our services with extreme high standards and the privilege to come out to you and install whatever you require to be installed. No matter the job, we will come out and see what you would like to be done and we will get to work quickly, ensuring we get the job done swiftly and tidily, hundreds of customers, clients, official health and social inspectors have given reviews and comments on our safety and work and each and everyone of them have come to us positive saying how well we stand out to other companies. If you are need of making sure your electrical appliances are checked and safe to use or you need something installing, then be confident in contacting us on 0238 073 1575 today. We are ready for you, would you like us to inspect your electrical appliances?